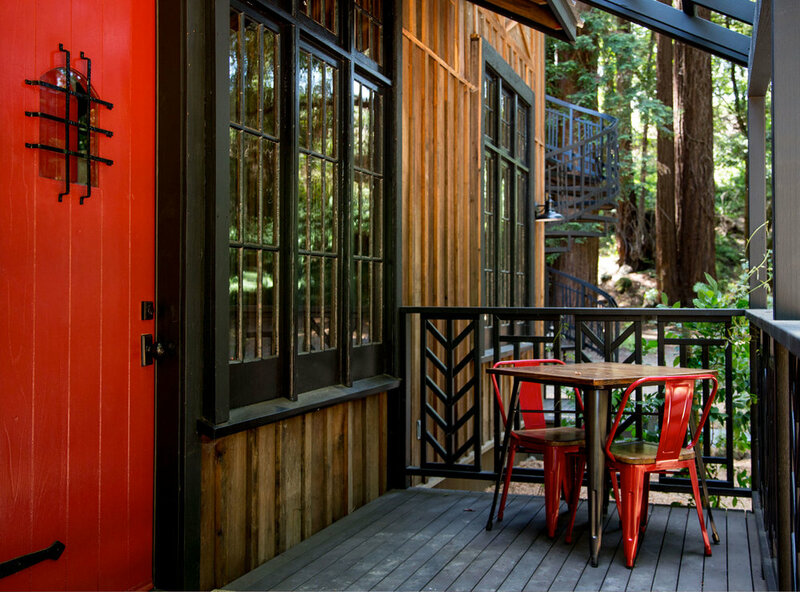 Get ready for a very different lodging experience. Where The Madrones is elegant, The Brambles is adventurous. 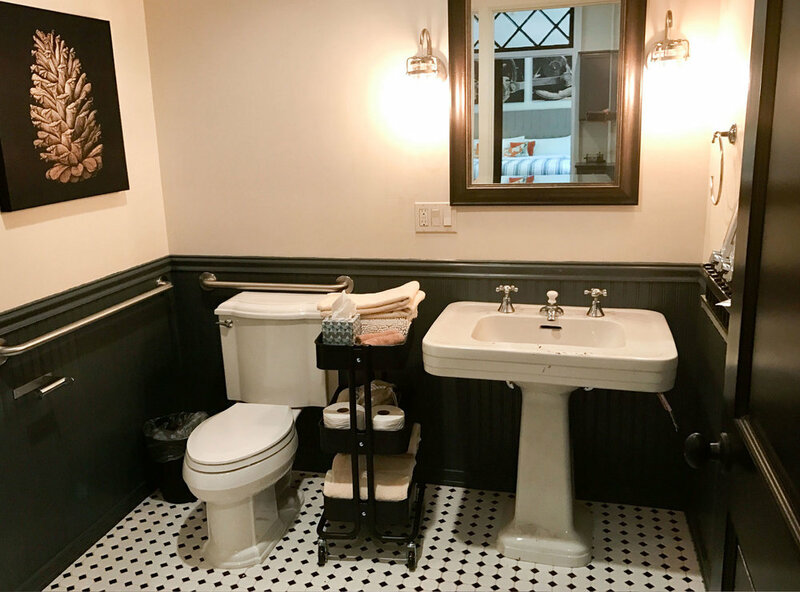 The yin to The Madrones’s yang, The Brambles is located just a stone’s throw from The Madrones and inspired by a Victorian-meets-industrial steampunk aesthetic. 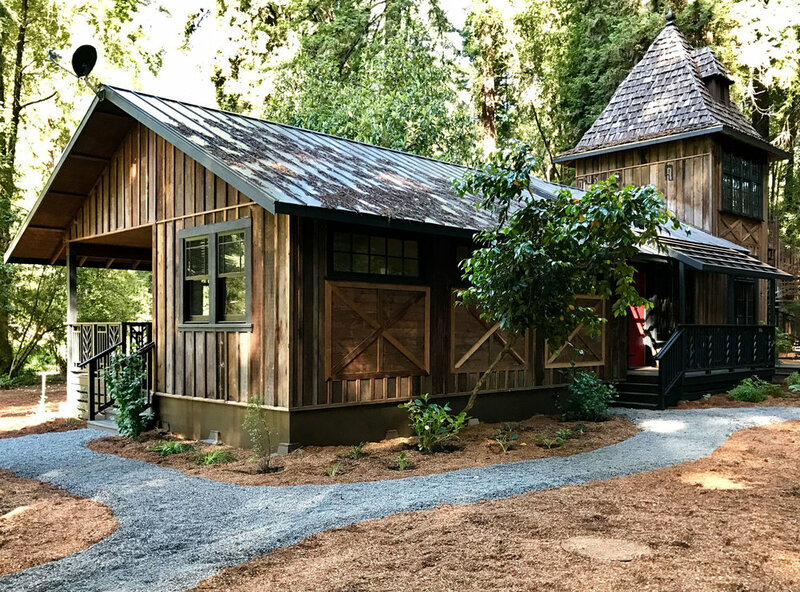 Nestled deep in a towering redwood grove, the Front Door and the Back Porch both sleep two with stunning views of the Burly Grove and its most curious feature, the Pachyderm Tree. 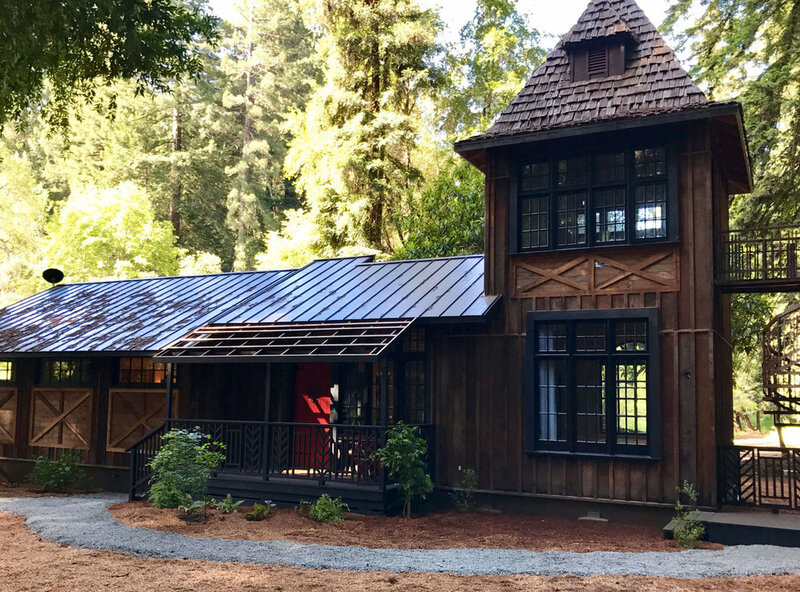 Up Mill Ridge and overlooking the redwood forest, the Faller’s Cabin sleeps two guests and the Logger’s Cabin sleeps four. Each accommodation includes complimentary Wifi, flat screen TVs, kitchenettes, coffee and tea, and simple breakfast items. The Brambles inhabits a small, forested valley situated between Indian Creek County Park and an old wood mill that hearkens back to the area's lumber boom of the 1940's and 50's. Stretching back away from the road, the land has remained largely undeveloped, a trend we aim to continue as we introduce a handful of guest cabins for those who would like to enjoy both the seclusion and convenient location of the property. 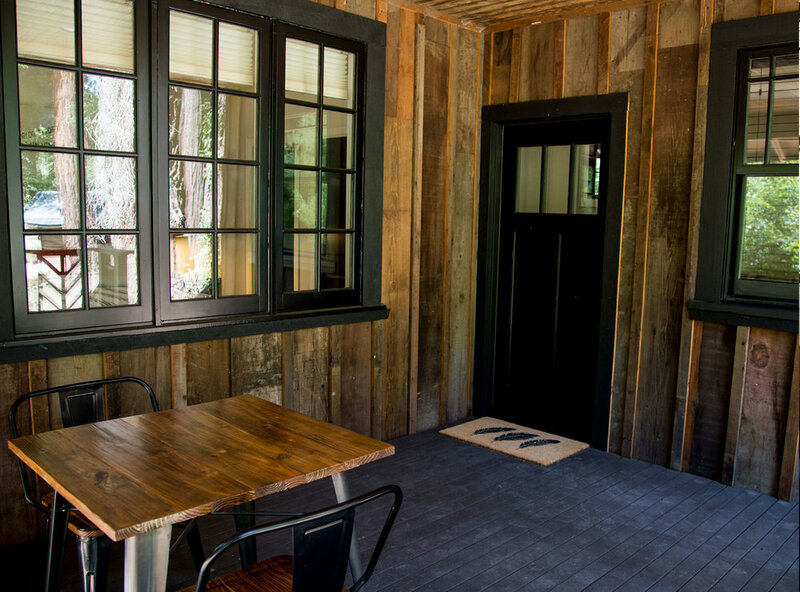 We are currently developing trails so guests may explore the natural beauty and even take a walk up to The Madrones for dinner or some wine tasting. If you venture further into The Brambles, past the cabins to a clutch of redwoods, you'll see a particularly unusual burl on the side of one of the older trees. This burl bears an uncanny resemblance to an elephant's head, complete with large ears and trailing trunk. We've adopted this patient pachyderm as the property's spirit animal, watching over all and reminding us of the land's long memory.